Featured Resource; Have you seen the new film about Mister Rogers yet? Does your child's school celebrate Screen-Free Week? Last fall, we created the Children’s Screen Time Action Network for professionals who want to counter the harmful effects of digital devices on children. Less than a year in, it’s clear that our members are up to the task! On August 9, the Action Network’s Mental Health Professionals Working Group sent a letter to the American Psychological Association (APA) regarding the unethical practice of psychologists using hidden manipulation techniques — called persuasive design — to increase children’s use of digital devices. These techniques keep children on screens, which exposes them to advertising and data collection and displaces creative play, physical exploration, and face-to-face relationships, which are all critical to children’s healthy development. Our letter asks the APA to inform the public of the harms of screen overuse, and to condemn the use of psychological expertise to hook children on video games and social media. It has been signed by more than 200 psychologists, including Mihaly Csikszentmihaly, Sherry Turkle, Jean Twenge, Douglas Gentile, Mary Pipher, Jean Maria Arrigo, and Leonard Sax. The letter made an immediate splash, with coverage in the Associated Press, Washington Post, and Vox. 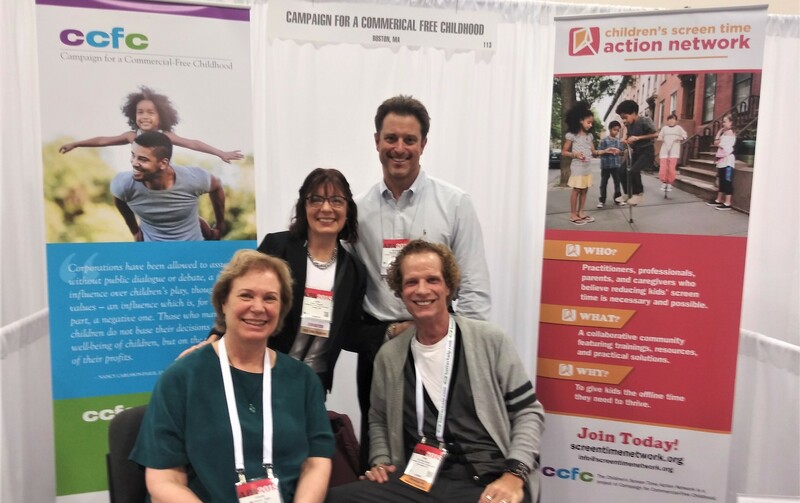 From August 10-12, CCFC’s Jean Rogers and several signatories brought our concerns directly to the APA’s annual convention in San Francisco. Psychologists they spoke to were appalled to learn that tech companies employ design techniques that exploit children’s psychological vulnerabilities, and many signed the letter in support. We are particularly grateful to Action Network advisory board members Dr. Richard Freed and Dr. Meghan Owenz, who drafted the letter and brought their colleagues on board. We’ll be sending an updated letter with additional signatures to the APA next week. To sign or share the letter, visit www.screentimenetwork.org/apa. Not an Action Network member? Join here. Award-winning teachers Matt Miles and Joe Clement have seen the effects of excessive screen time on their students, and they know that schools’ emphasis on tech often makes things worse. Based on their critically acclaimed book Screen Schooled, this webinar offers strategies for teachers and parents to create change that supports students’ full development. Register here. Make some popcorn and invite friends! Joni Siani’s compelling film follows real students participating in a ‘digital cleanse.’ It presents tools to address teen anxiety, smartphone use, and relationships in the digital age. 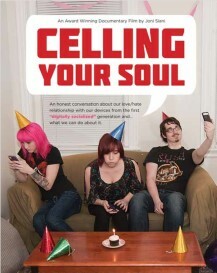 Following the film, join us for a Q&A with the filmmaker and her subjects. Register here. Using real-life examples, Dr. Carlsson-Paige illustrates the limits of what children learn from screens as compared to the depth of knowledge that they gain from physical, hands-on activities. 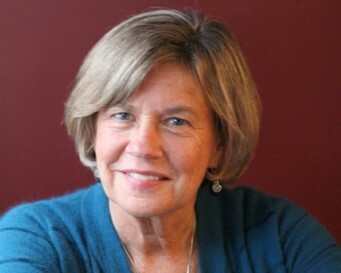 This webinar is based on Dr. Carlsson-Paige’s powerful keynote at our Action Network conference – believe us when we say it’s a can’t-miss! Register here. When California enacted an internet privacy law in June, CCFC and other consumer advocates argued it wasn’t strong enough to be a model for other states: it only lets consumers opt out of the sale of their personal data (which means it could still be otherwise disclosed), and allows companies to charge users more if they do opt out. Now, Big Tech is lobbying to weaken this already-weak law! The new, watered-down version would make it impossible to opt out of ad-related data sales, and would remove special protections for children’s data. We’ve joined other groups to ask California lawmakers to reject changes that give more power to corporations, and to strengthen the law so that consumers are truly protected. Back-to-school is the perfect time to download the Parent Toolkit for Student Privacy, a free resource from CCFC and the Parent Coalition for Student Privacy! Schools maintain digital dossiers with ever-growing amounts of personal information about students — test scores, income levels, social security numbers, and even immigration status. But most schools don't have strong policies to keep data safe or prevent it from being shared with third parties. Our month-by-month calendar will guide you through how to use the Toolkit this year to protect your child’s privacy. Have you seen the new film about Mister Rogers yet? 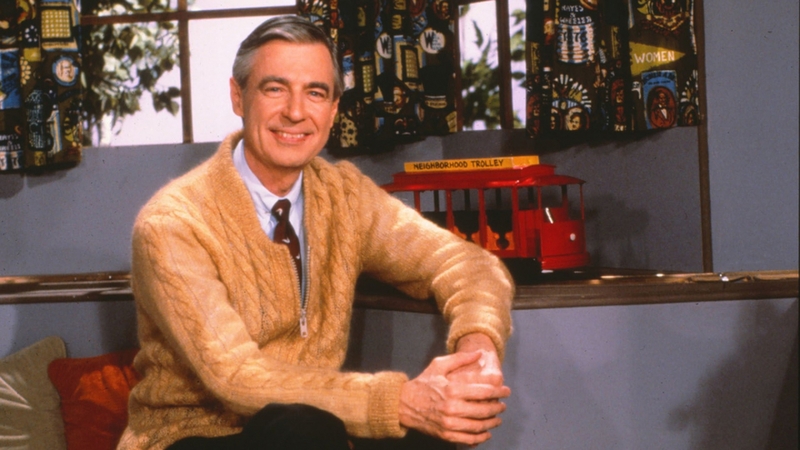 On our blog, Campaign Manager David Monahan shares his thoughts on Won’t You Be My Neighbor?, the new documentary about the late, great Fred Rogers. David spoke with CCFC’s founder, Susan Linn, who worked closely with Rogers and appeared on Mister Rogers’ Neighborhood with her puppets! Susan says the film really captured the essence of Rogers, who she credits with creating “probably the most radical children’s television show ever.” We could all use a lot more of Rogers’ approach these days: love, listening, and putting kids first. Who’s protecting children’s data on the Internet of Things? ​On episode 13 of the VoiceFirst podcast, CCFC’s Melissa Campbell talks EchoDot Kids and corporate technology’s impact on childhood. In the midst of a growing emphasis on tech in schools, Nicholas Tampio makes a compelling philosophical case for why kids learn best through physical interaction. All kids have a right to play. Here’s how to demand it in your community. This dad is putting down his phone and embracing boredom for the whole family. “When I find a YouTuber I like, I go right to their website to shop” – 9 year old Isabella, in this sobering look at how marketers directly target toddlers and children online. Dr. Meghan Owenz tells CTV why it’s wrong to use persuasive design to keep kids on screens. A thoughtful meditation on why human empathy cannot be matched by machines.